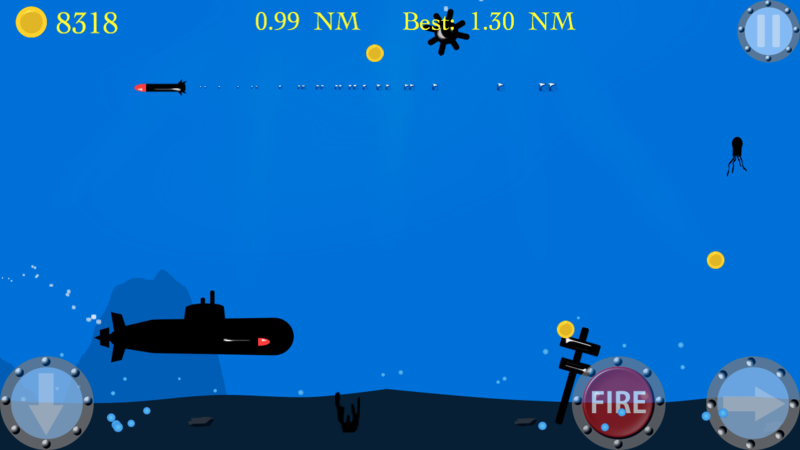 Navigate the Deep sea with your submarine and collect doubloons while you must avoid incoming missiles and sink bombs. 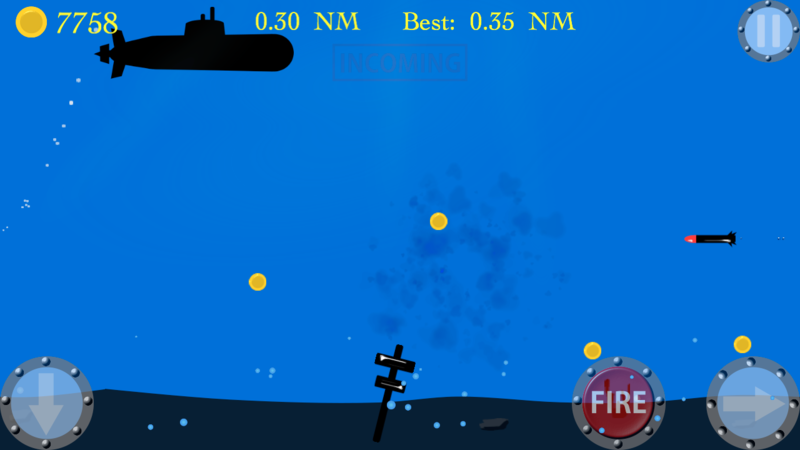 You need the doubloons to upgrade your submarine , or to buy shield and magnet. 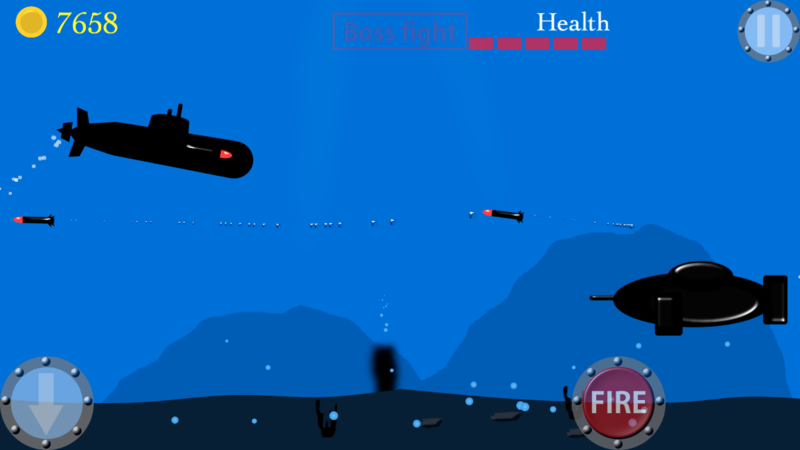 There are 2 game modes , Free dive and Campaign. 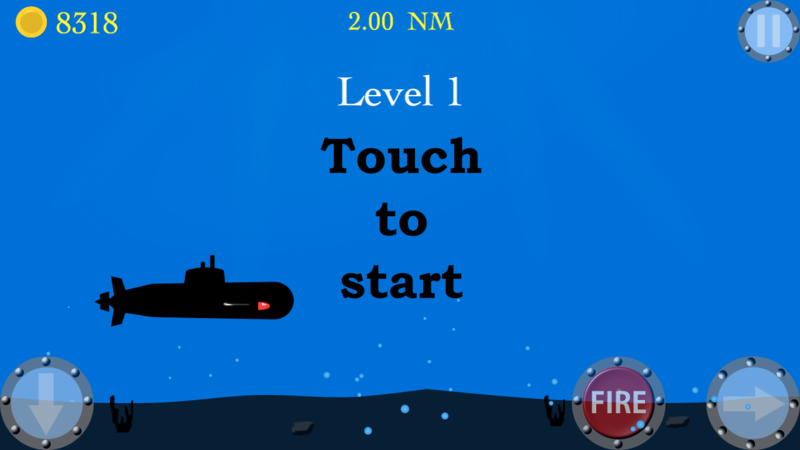 In Free dive the main goal is to reach as far as possible , but still collect so many doubloons you can and complete missions so you can upgrade your submarine. 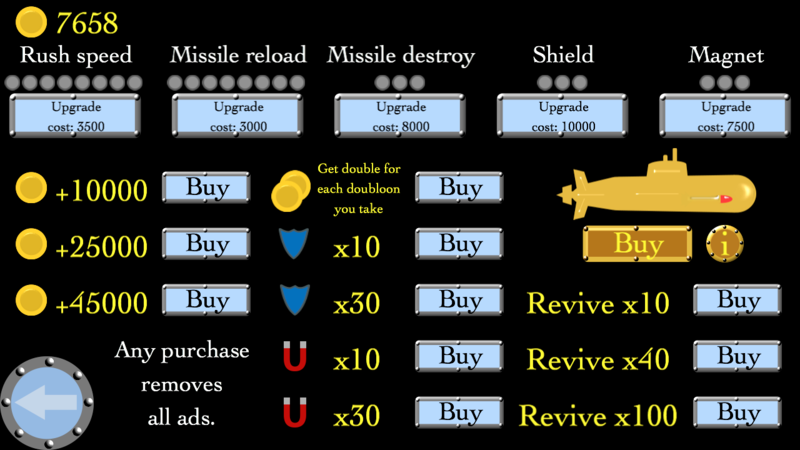 In Campaign you need to survive a certain distance Before there is a boss fight , if you defeat the boss you move on to the next level ....... there are 30 levels waiting for you. 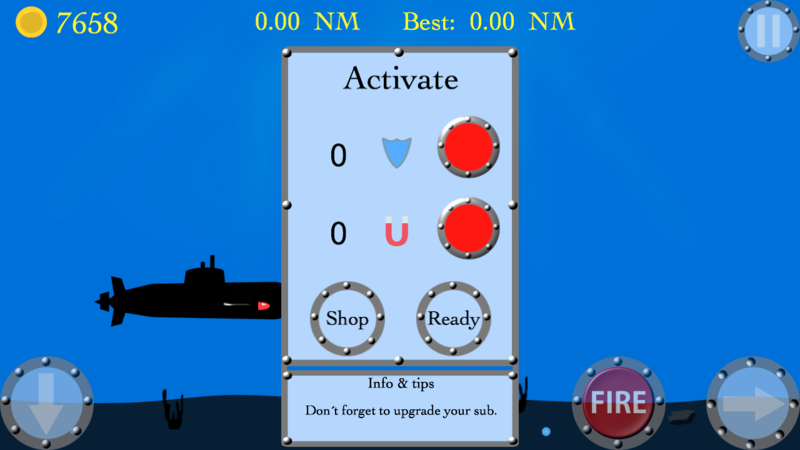 Features : * Submarines * Missiles * Upgrades * Missions * Fun for everyone * Special " Goldie sub " So dive right in and collect the doubloons and send those bosses to their watery grave ....... Good luck Captain !